NIPAC was formed to recruit and support candidates who are committed to fiscal responsibility, limited government and free markets. We look for candidates who will apply these principles to bring solutions to state and local problems as well as work cooperatively with other policy makers. 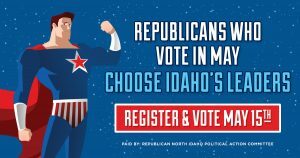 NIPAC was formed to offer an alternative viewpoint to those who ridicule and ostracize politicians and candidates who do not agree 100% of the time with the Idaho Republican Party platform. Seldom does anyone agree with anything that requires 100% allegiance! 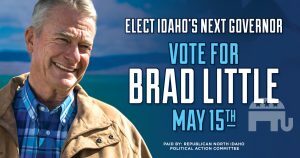 We look for honesty, intelligence, work ethic, sincerity and courage in the candidates we support instead of ideological purity. Our board is composed of a diverse group of conservatives who cooperate to support outstanding fiscally conservatives and officials. There will never be 100% agreement on every issue within our board or among public officials, but what excites us is that, as conservatives, we share more, not less, in common. We know our differences make us stronger if we work together and the candidates we support also share this philosophy.